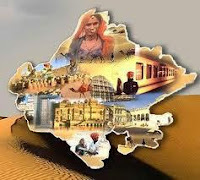 Rajasthan GK Question in Hindi Sample Paper 153: Rajasthan General Knowledge Sample Question Paper with Collection 15 Question of Rajasthan GK Questions for RAS, Rajasthan Police, REET, SI, Contable, Patwari and other state exams under GK Quiz in PDF @ Rajasthan GK Sample Papers. Rajasthan General Knowledge (GK) and General Studies (GS) Questions from various examinations of Rajasthan Govt. and central Govt Examinations. Q.3151 भारत में पहला "नोबल पुरुष्कार" किसे प्राप्त हुआ था ? Q.3152 फोर्ब्स पत्रिका की 12 वीं वार्षिक सूची मे दुनिया की 100 सबसे शक्तिशाली महिलाओं मे कौनसी भारतीय महिला शामिल नहीं है? Q.3153 डेवोस, जहाँ विश्व आर्थिक फोरम का वार्षिक सम्मेलन आयोजित होता है, कहाँ स्थित है?